Dublin have won their fourth successive Sam Maguire as Tyrone were unable to execute an unenviable task at a balmy Croke Park this afternoon. The match finished 2-17 to 1-14 to the Boys in Blue, as a four-in-a-row was completed for only the fourth time in GAA history. 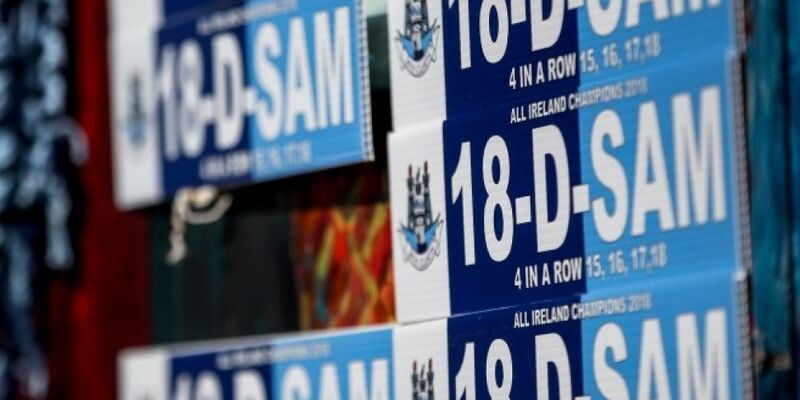 Jim Gavin's men ended the game with 14 men as John Small was sent off after two bookable offences, but this was merely a fly in the ointment as the Dubs outplayed the Ulstermen for the majority of the match. Covering the match for Off The Ball, Anthony Moyles was clear that Tyrone needed to "score early and score often", which looked as if to have been radioed directly to the team. They took a lead of 0-05 to 0-01 in the first period, only to be pegged back by a Paul Mannion penalty and a succession of quick points. The Dubs were in second gear for much of the match, as Mickey Harte's outfit failed to overturn a Dublin side rarely playing in top gear. Stay tuned to Off The Ball for interviews with both Dublin and Tyrone players and staff.